It is better to know about Security Shutters before you settle to buy one. Being at a reputed manufacturer you can have both quality advice and materials but then also it is wise to have knowledge so that you can also place your opinion in front of them. There are various kinds of such shutters which you can have. The choice of material and nature of shutters depends on the reason that you want to have it for. Aluminum Shutters: This nature of shutters can provide the best of physical and visual barrier that you wish to have. As it is made of metal it also provides mid-range safety and fortification. The solid visual barrier that it offers helps you to shield your valuables from the eyes of intruders. The double-skinned construction offers you relief from having your valuables stolen. Steel Shutters: Having steel shutters you will have the required peace of mind as such shutters will offer top-tier security to your belongings. 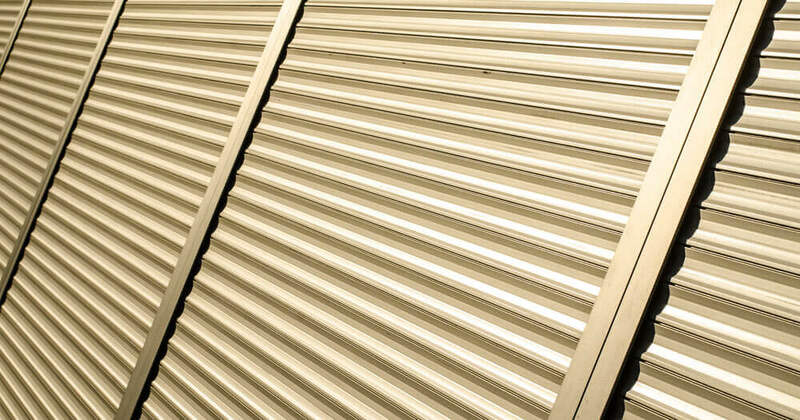 Having such shutters is essential for business houses which store specialized types of equipments and the store is left unattended for a long period of time. You can easily have heavy-duty and heavy-gauge steel shutters from reputed manufacturers as they use advanced manufacturing techniques and make available made-to-size services. Any Security Shutters that you have must be tested by an independent testing organization so that it can be assured that the investment that you have made would yield the result that you wish to have. The organization will make the shutter withstand the hardest of tests to ensure strength and durability. If the shutter passes such test then only they will be providing a certificate to use that. If you have the shutters from reputed manufacturers having accreditation from reputed bodies then you can be certain that you will be having the best of security using such shutters. If you have a lightweight shutter then you may be able to fold it manually but in case it is the heavier one then you must be requiring power to keep it running. You must have a backup power system so that in case of power cuts you can still operate the shutter and run your business efficiently. The shutter that you have might be run depending on power availability. But it is wise to have a safety measure so that you can override that option and close or open it manually. Such feature will be helpful in case of an emergency which may arise. Why is an Aluminium Roller Shutter the Best Choice for Your Business? When it comes to fitting state of the art security shutters to your home, nothing beats Melbourne’s very own Secure Window Roller Shutters. For years we have been servicing Australian homes with an affordable product that does not compromise on quality. For you, this means the comfort of knowing that your security shutters are offering a whole host of benefits to you and your family.